0 Comments Published by kim on Friday, August 25, 2006 at 9:39 PM. 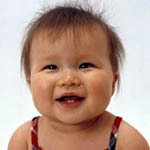 em's nine month picture people scans have been posted. and we're still in quarantine. blah.